Happy (Grow Together) New Year! As we begin a new year, let’s remember that God is the God of New beginnings. The 2017 Theme will be to Grow a Healthy Church! Ephesians 4:12 To equip the saints for the work of Ministry, for Building up the body of Christ. I’m very excited about the brand new format on Wednesday nights. We will be focusing on four important elements to Grow in 2017! 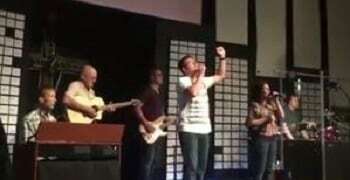 : Prayer, Bible Study, Leadership & Outreach. On January 11th, our Bible Study will begin with a Verse by Verse Study of the book of Ephesians. Starting January 8, we will launch our New Sermon Series: Count it all Joy! – a verse by verse study of the Book of Philippians. Our 2017 Bible Reading Plan will take us through the entire New Testament as we study one chapter of the Bible everyday. We will Grow together as we Pray Together; Study God’s Word together; Reach out to our Community together; Do Leadership Training together. Join us as we Grow together in 2017. God is Building His Church to Grow so be a part of something bigger than you! This is just a small sample of what God has planned for this exciting New Year. This has been an outstanding December for the church and our new Bridge Group (18-25 year olds). As we enter into a new year, I am planning to start a weekday adult bible study. The lesson plan will come from Dr David Jeremiah’s: Is This The End? study guide. I would like to have the study at the church to start on one of our weekday nights 6:30 to 7:30pm. Perhaps, as time goes by, we will be able to host this study at a home. It is an exciting study as we will look into such topics as Russia, Immigration, Apathy of America, ISIS and the Rapture. In our Sunday morning study, we have been talking about the afterlife, paranormal, Eden and Why God, Why December 25th? Our young minds are very intrigued by study of these topics! On a personal note, the church is one body, each member supporting the other member in unity. We work together, in harmony, when God calls us to serve using our unique spiritual gifts. It is a God thing and I am all about God things. If you have any questions as they pertain to our Discipleship ministries/studies, please do not hesitate to ask. Exciting things are in store for our children and youth in 2017. Our first priority will be our children’s program on Sunday morning for the first three to six months. Our leadership has established the goal of establishing a second worship service by the end of March 2017. Therefore we will be making some needed logistical, administrative and programming changes to accommodate. Samples of new curriculum are being ordered so current teachers and volunteers may assist in evaluating its usefulness. Our goal as always will be to equip the saints and to introduce our children to Christ and equip them to become His devoted followers. Creative ideas and practical solutions will always be welcome. If you are creative in any way, administrative, teaching, helping, serving, crafts, drama, games, etc., you are welcome to help. For those who would like to enjoy the privilege of helping in this important ministry to our children, please contact me. You may also attend any monthly Children and Youth Ministry volunteer meeting on the second Sunday of each month. Winter quarter meetings will occur on January 8, February 12 and March 12 after the worship service. We will meet upstairs in the Children’s Church classroom. Hope to see you there. Psalm 100:2a Serve the Lord with gladness! The New Year! 2017! 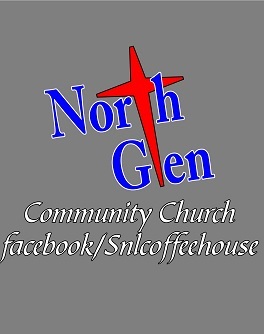 What a great time to get involved with one of many ministries at North Glen. Perhaps the Lord is calling you to be a leader? We are so happy to announce that Maureen Johnson has stepped up to be our Women’s Ministry Leader! She was voted in at our Business Meeting. Ladies, read on in the next section for the time of our first meeting. We must all remember God does not call the qualified, he qualifies the called. We can all do something to further the Kingdom! Do you have questions? Do you want to join a ministry? Let me know how I can help! I would like to meet with everyone on January 22nd after church to find out your interests, ideas, and thoughts about the ministry. Our outreach is the first Saturday of every month from 10:00 until 12:00. The homeless ministry leaves from the church to deliver food and clothing to the people in Baltimore and Anne Arundel County. Sandwiches for distribution are prepared on Fridays at my home in Dundalk. The ministry accepts donations of bottled water, bread, cheese, and turkey meat. If you like a variety style of Christian music and like the outreach of these events to our community, here is an opportunity to not only attend and invite others to the event, but also to serve. The events are held on the third Saturday of each month. We need volunteers to help serve food and prepare the church for the next day. Even if that does not work for you, tables and chairs are arranged the Wed before the event after Bible Study. Contact us if this is for you! We are always in need of help! Come join us in loving and teaching our precious little ones. Recovery meetings are held every Thursday evening at 7 P.M. If you like to welcome people into North Glen with a friendly face and have a spirit of hospitality and serving others, we have openings for YOU! makes the coffee (when the door opens) and mans the coffee and light breakfast area. If you are interested, sign up at the bottom of the current schedule along with your interest and you will be contacted to see where you can plug in. We are very excited with the continued service of reaching our community with the sound of music through the gifts and talents given to those who come through our doors to bless us every month. More and more guests are coming to support the coffee house and the help from the members, family, and friends is much appreciated as we serve the evening together.The number of children coming for the entertainment that meets their age group is also a blessing. Parents or guardians are asked to take their child upstairs between 7:45 and 8:00pm to sign on the clip board provided and then retrieve their children after the music is over. This month the new coffee house shirts will be on sale. See logos below of the front and back. Shirts come in short sleeve ($10) and long sleeve ($15) in gray, black, purple, and orange. We are ‘On a Mission from God’. Thanks for your support. Doors open at 7pm; each concert runs from 8-10pm. For those interested in serving or signing up to bring food, please see Julie or sign up on the bulletin board for each month. On February 18th, North Glen Community Church Praise Band will join with the Arundel Christian Church Praise team in a night of worship. 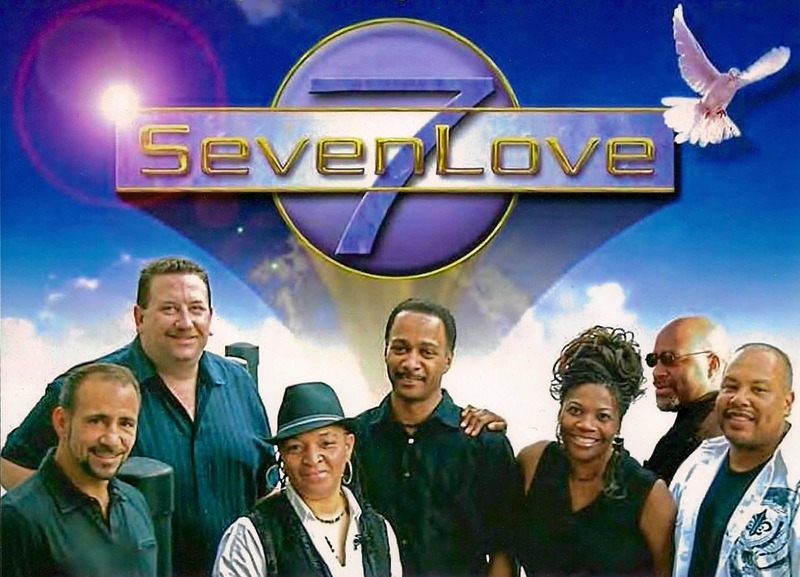 On March 18th, for the second time at North Glen but many years at SNL, SevenLove, labeled as Christian Funk/Gospel will bless us that evening. 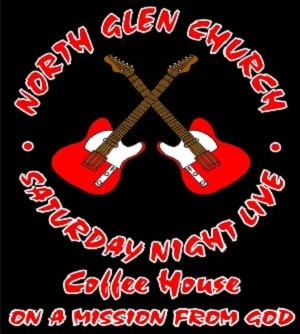 Visit the coffee house Facebook page at SNLCoffeeHouse for pictures from previous months and a slide show of a concert.